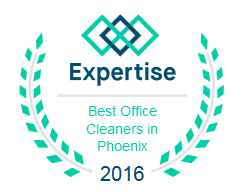 Hardly have we ever, in our business of Window Cleaning for Phoenix, Arizona, have we met anyone who enjoys the activity of Window cleaning. We can take a quick guess right now and we’ll be right to say you too don’t like window cleaning. Well, that’s why there are so many window cleaning companies out there, right? Because we all love a clean window, but we hate doing window cleaning ourselves. 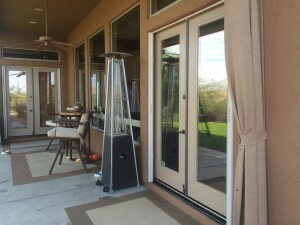 We understand just how much you dread cleaning the windows of your house. But it is, unfortunately, something that you need to buckle up and do at least once in a while. We understand that it sometimes even resembles a workout and we know that the results are rarely the ones you were hoping for. We also know that it is an unwritten rule which says that if the weather is nice when you are cleaning your windows, once you are done it will definitely start raining and ruin everything. Wouldn’t it be great if it didn’t take so long to do it or if weren’t so unbelievably exhausting? Would it not be great if there was a way to guarantee that the windows of your house will remain clean even after rain and bad weather? Well, we are glad to tell you that Arizona Window Washers is the answer to all of these questions and the answer to all of your prayers. With us, you will no longer have to waste your time on doing this awful chore. You will instead have a couple of extra hours for yourself. We are positive that you can appreciate that, especially since everybody seems to be lacking free time nowadays. More than that, you can leave the workout for the gym, because you will no longer have to stretch and put yourself through the effort of cleaning windows. Our professional window cleaners have the right tools to make the job easy and to leave you with incredibly clean windows. Read Tom L.'s review of Arizona Window Washers on Yelp. This entry was posted in Window Cleaning and tagged window cleaning, window cleaning company, Window Cleaning Service, window washing, window washing service, yelp. Bookmark the permalink.